Joe Davis interned at Sporting Kansas City back when the team was called the Kansas City Wizards. The organization was in its late stages of finishing their plans to rebrand the team and build a new state-of-the-art stadium in Kansas City. While interning with the communications team, Joe was handed the Facebook page as a project and was given free reign. During his time there (approximately 2.5 months), Joe increased the Facebook likes from 646 to 2,172. 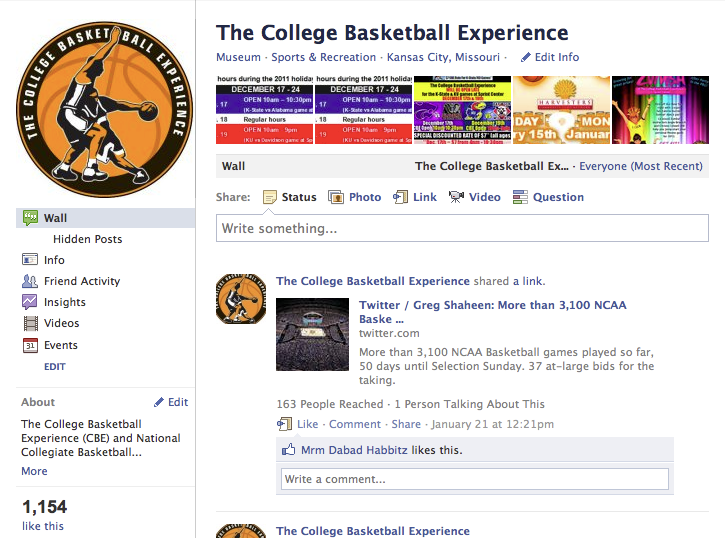 Additionally, he helped secure one of the first vanity URLs (Facebook.com/KCWizards) for a professional sports team. Joe remained a volunteer for Sporting KC during the 2010 and 2011 seasons. In 2012, Joe was hired full-time by Sporting Kansas City's tech-spinoff company, Sporting Innovations (now known as FanThreeSixty). At Sporting Innovations, Joe was the main liaison between Sporting Innovations and Sporting KC for the tech products created by Sporting Innovations. This included mobile apps, websites and other digital content. Joe was the webmaster for SportingKC.com, SportingMembership.com, SportingInnovations.com, SportingClubStore.com and LIVESTRONGSportingPark.com. As a technical support engineer, Joe troubleshooted issues associated with the fan engagement platform for Sporting Club and Sporting Innovations, including issues with the mobile and tablet applications, websites, databases and servers. 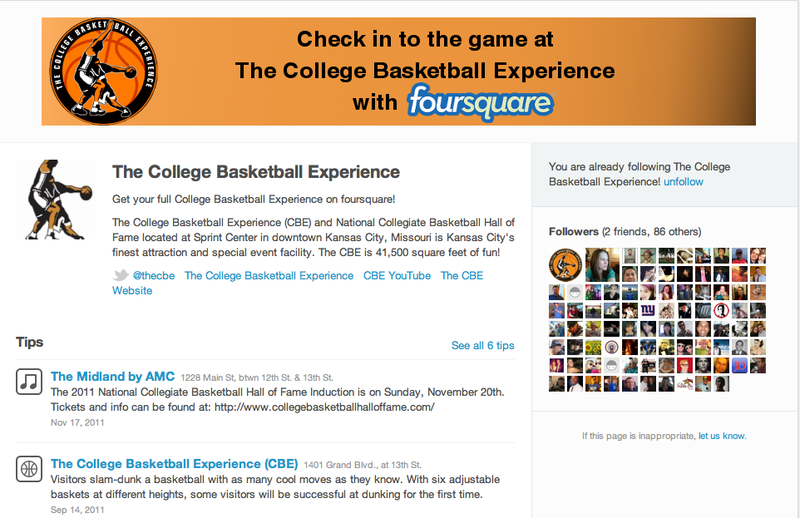 Additionally, Joe ran the Sporting Explore app and Twitter account for Sporting Club to provide a unique experience to fans of Sporting KC and visitors of Sporting Park. 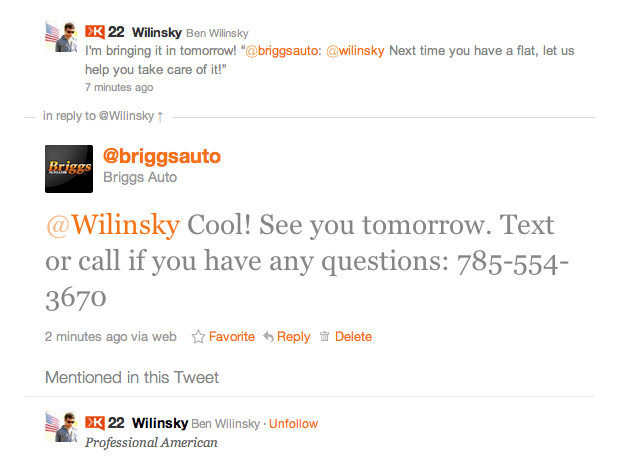 In the Fall of 2011, Briggs Auto Group asked Joe to consult with their marketing department to help increase their social media and digital marketing presence. After doing a social media audit, Joe helped implement several different strategies. Website total hits: 282 from 133 unique visitors. As part of the audit, Joe suggested adding in geolocation into targeted tweets. By searching for tweets by location in Briggs' key markets, Joe was able to target potential customers based on what they were tweeting. "Joe has an impressive understanding of both the leading, and emerging platforms in social media and marketing. I thought I knew my stuff, but Joe definitely opened my eyes to some new capabilities and opportunities that I was overlooking. Whether for consultation or for hire, Joe is certainly a rarity amongst the many young guys claiming expertise in the social arena." After graduating from the University of Kansas, Joe began a social media and marketing internship with the College Basketball Experience (CBE) and National Collegiate Basketball Hall of Fame. 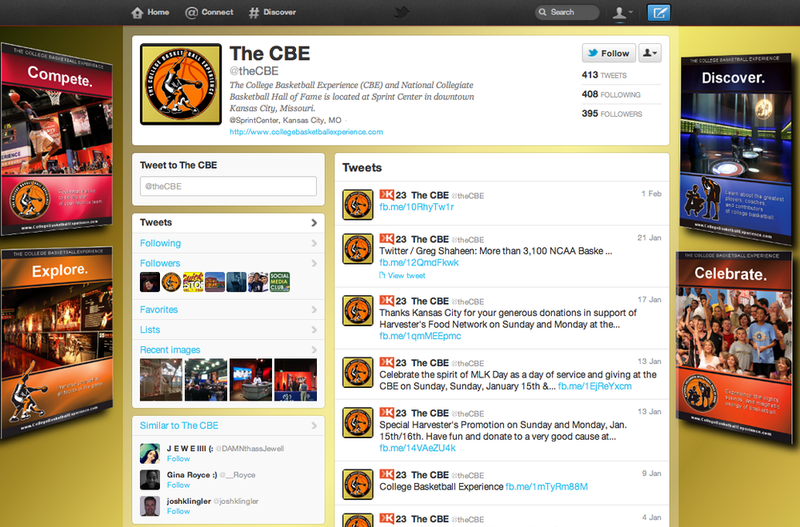 To help differentiate the different aspects of the CBE's brand and business, Joe helped create additional Facebook and Twitter pages for the company. 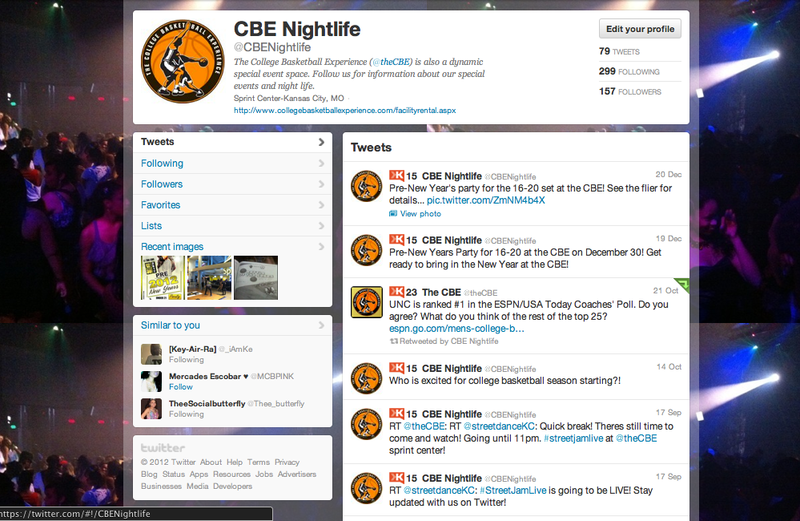 In addition to the CBE's normal business, they also hosted nightlife and corporate events. During his internship, Joe created and successfully implemented a plan to double Facebook likes in 60 days. In addition to his social media efforts, Joe helped research college basketball history to add to new exhibits and gathered images and videos to update current exhibits (Epochs Wall, Call the Highlights ESPNU Desk and Coaches Tree). Also, Joe helped with event management including setting up for corporate events and their annual Hall of Fame Induction ceremony. 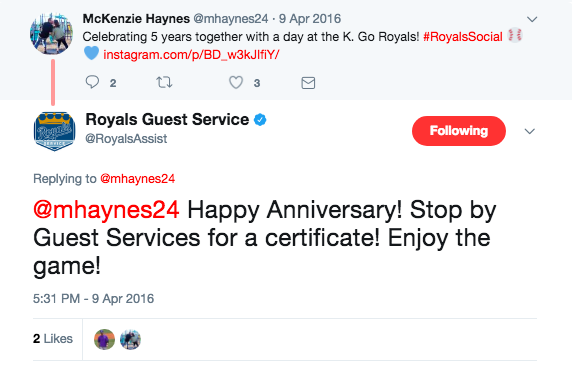 In the summer of 2015, Joe was hired by the Kansas City Royals' Guest Services department to monitor their digital platforms during games to help address issues of guests, security concerns and service recovery. 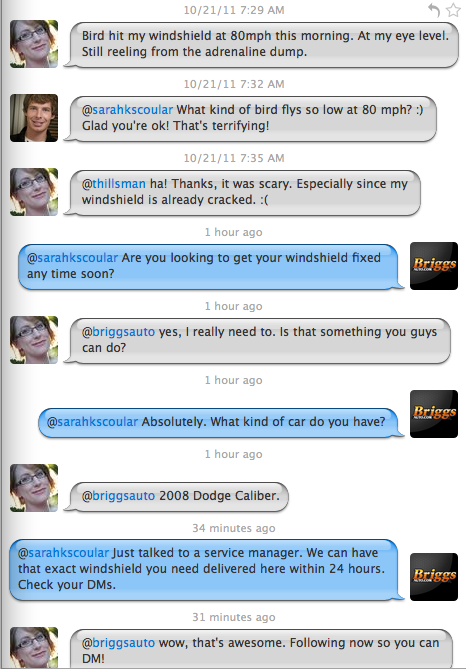 The platforms included Twitter, email and their text messaging system. By coordinating with all departments of the organization, the Guest Services team was able to provide outstanding customer service that helped address concerns of all guests of Kauffman Stadium. This was particularly important during the 2015 Major League Baseball playoffs, when the Royals hosted eight playoff home games on their quest to becoming World Series champions. During the 2015 MLB winter meetings, the Royals were highly regarded for their Guest Service digital efforts and many teams consulted with the organization to help replicate it across the league. 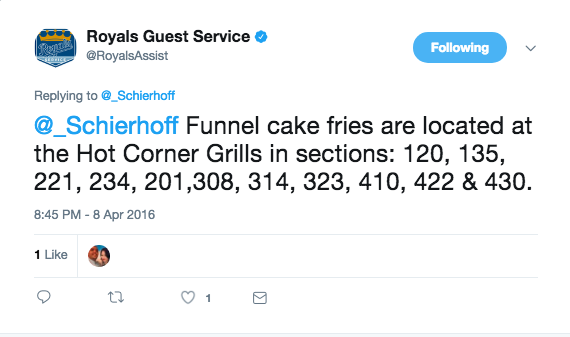 Here are just a few examples of the work that the Royals Guest Service Twitter account (@RoyalsAssist) provided during the early part of the 2016 season while Joe trained his replacement (due to taking a full-time job with Kansas Speedway). Due to Joe's social media plan, the Guest Services team continues to provide excellent customer service on the Royals' digital platforms. 23rd Street Brewery was Joe's first social media "client." While interning with Sporting KC in the summer of 2009, Joe started working at 23rd Street Brewery as a busser. After talking to 23rd Street's owner about his internship, Joe was asked to help out with their social media presence. From 2009 to early 2016, Joe helped 23rd Street Brewery become one of the most followed social media accounts in Lawrence, Kansas. Lawrence remains a city that takes pride in their social media so having a strong presence on Facebook, Twitter, Instagram and other platforms was an important marketing strategy. 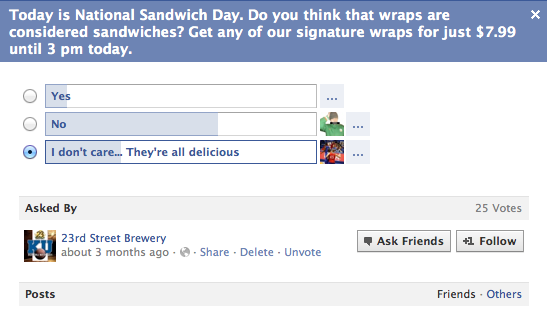 Below is a sample of some of the social media posts that were published on 23rd Street Brewery's platforms. While at Kansas Speedway, Joe helped prepare content for three race weekends (Summer 2016, Fall 2016 and Summer 2017). During his tenure at the Speedway, Joe prepared weekly press notes for local media disrupted during the NASCAR season.